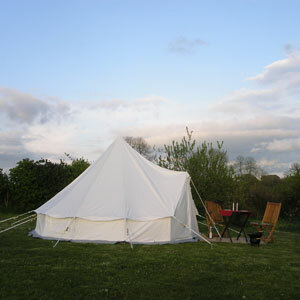 For traditional camping, enjoying the unspoilt wildness, and at night star gazing or sitting around the campfire. 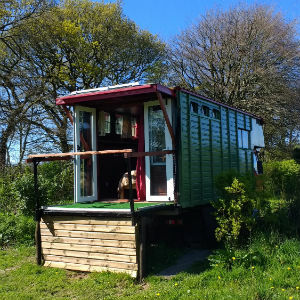 Bring your own camping gear or take it easy in a log cabin or quirky comfy horse lorry - whichever option you go for, views over the Preseli Hills come as standard. North Lodge is a smallholding in a gorgeously remote part of Pembrokeshire, yet only ten minutes from lots of good beaches, the coastal path and things to do. Ideal for family holidays, walkers, birdwatchers, cyclists, or couples just looking to escape into the country. 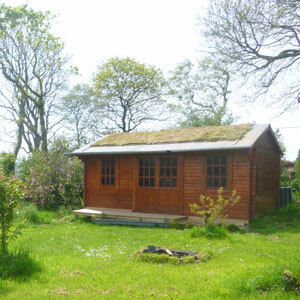 The pitches, cabins and lorry are laid out with long grass and hedge areas for minimum overcrowding and maximum privacy. Group bookings are welcome; and canine campers can come along too.